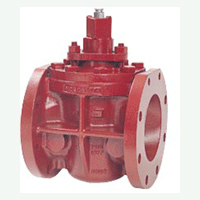 A proven and well tested range of lubricated Plug Valves available in Cast Iron and Cast steel materials. Each tapered plug is matched to the valve body. Sealant channels in the plug and body provide lubrication and sealing.